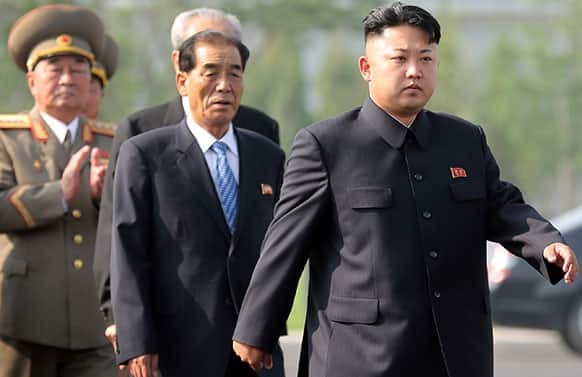 North Korean leader Kim Jong Un arrives at the cemeteries of fallen fighters of the Korean People`s Army (KPA)in Pyongyang, North Korea as part of ceremonies marking the 60th anniversary of the signing of the armistice that ended hostilities on the Korean peninsula. 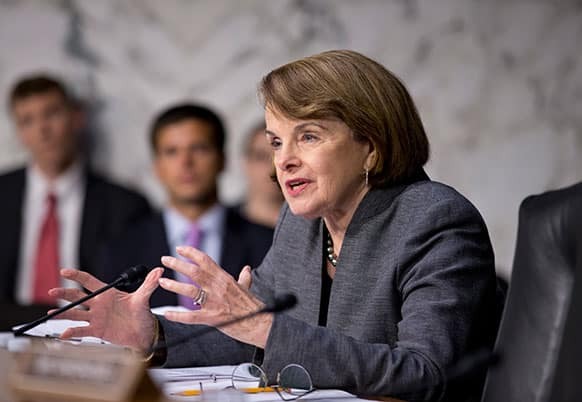 Senate Intelligence Committee Chair Sen. Dianne Feinstein, D-Calif., asks questions about the fate of prisoners at the Guantanamo Detention Center during a hearing by the Senate Judiciary subcommittee on Constitution, Civil Rights & Human Rights, on Capitol Hill in Washington. 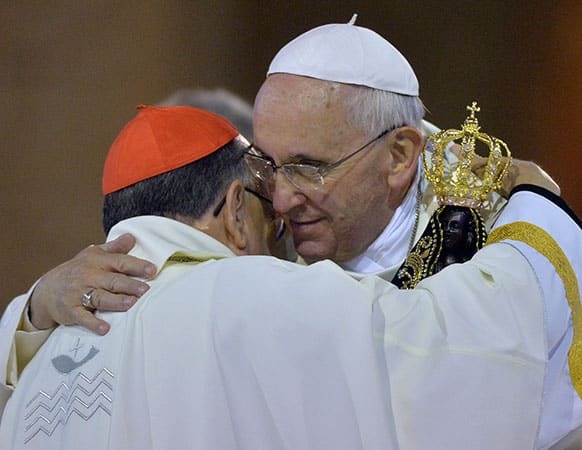 Pope Francis embraces Brazilian Cardinal Raymundo Damasceno after the pontiff received from him the statue of the Virgin of Aparecida from during a Mass inside the Our Lady of Aparecida Basilica in Aparecida, Brazil. 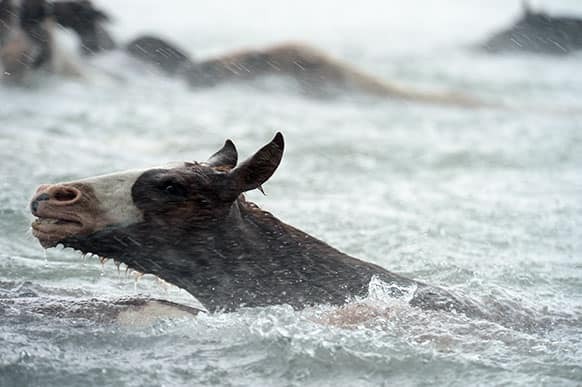 Chincoteague Ponies swim across Assateague Channel in a heavy downpour during the 88th Annual Chincoteague Pony Swim. A portion of the herd will be auctioned on Thursday. 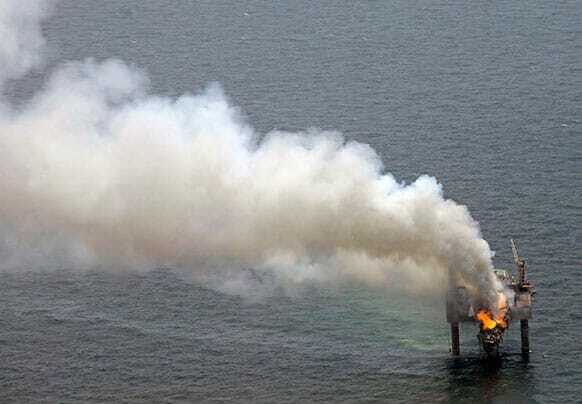 A fire is seen on the Hercules 265 drilling rig in the Gulf of Mexico off the coast of Louisiana. Natural gas spewed uncontrolled from the well on Tuesday after a blowout that forced the evacuation of 44 workers aboard the drilling rig, authorities said. 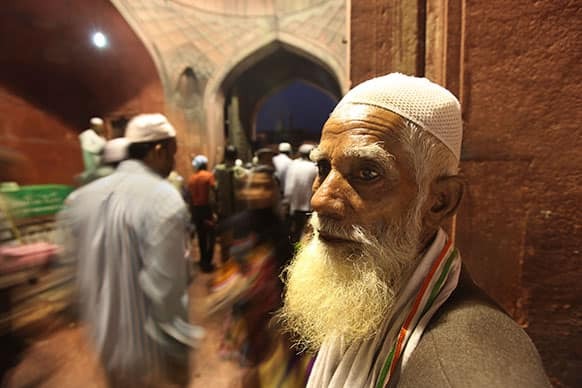 An Indian Muslim man watches as others return after breaking their fast during the holy month of Ramadan at the Jama Mosque in New Delhi. 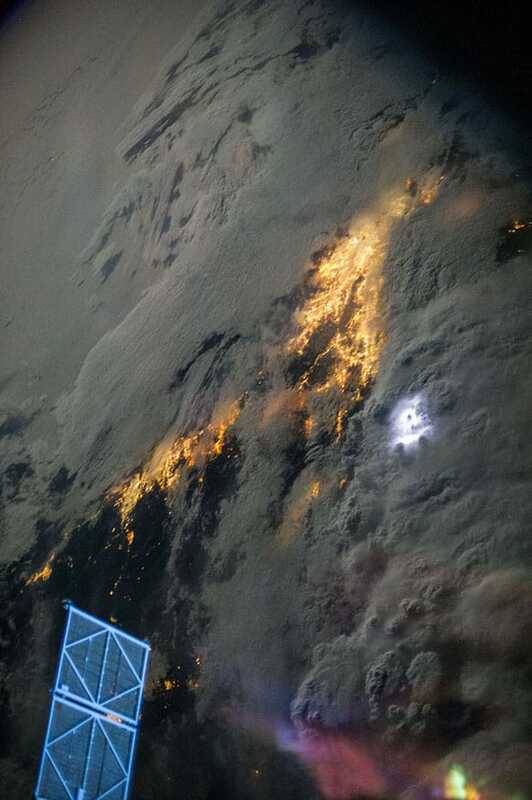 This image provided by NASA taken by one of the crew members aboard the International Space Station photographed this night view of storm clouds over Southern California. Early morning lightning can be seen as a white blotch just to the right of center. 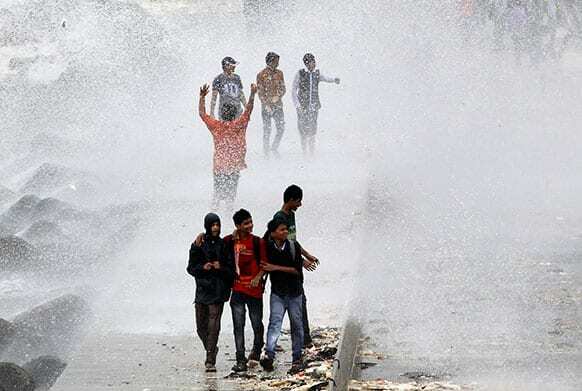 Indians enjoy high tide waves on the Arabian Sea coast during monsoon rains in Mumbai. A selection of British daily newspapers on Wednesday July 24, 2013 headlining the news of the birth of a son to Prince William and Kate, the Duke and Duchess of Cambridge. 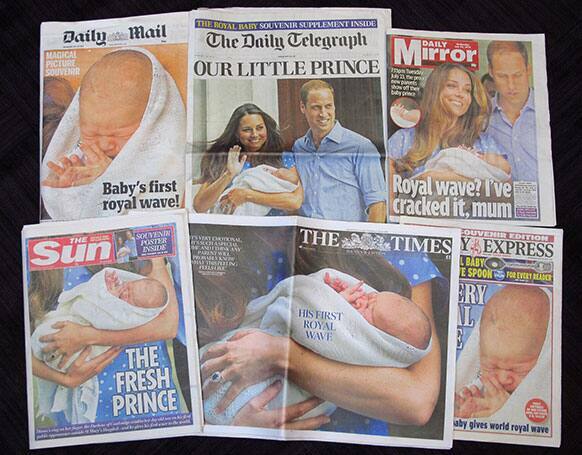 It was announced on Monday that Prince William`s wife Kate has given birth to a baby boy. 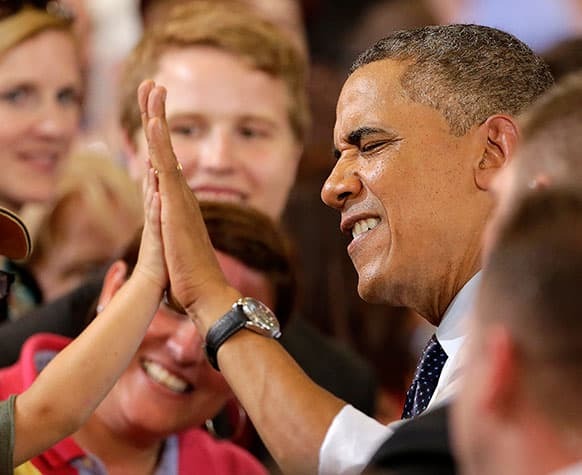 President Barack Obama gets a high five from a youngster after speaking about the economy, at the University of Central Missouri in Warrensburg, Mo. 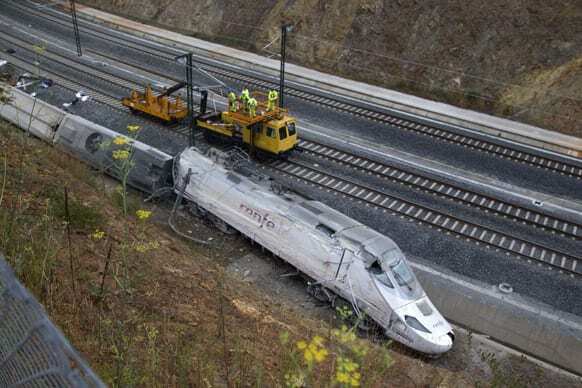 Emergency personnel respond to the scene of a train derailment in Santiago de Compostela, Spain. 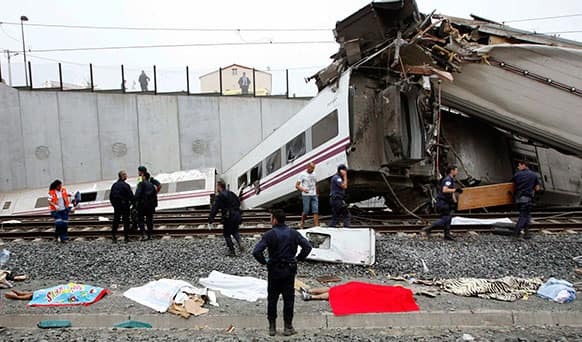 A train derailed in northwestern Spain on Wednesday night, toppling passenger cars on their sides and leaving at least one torn open as smoke rose into the air. 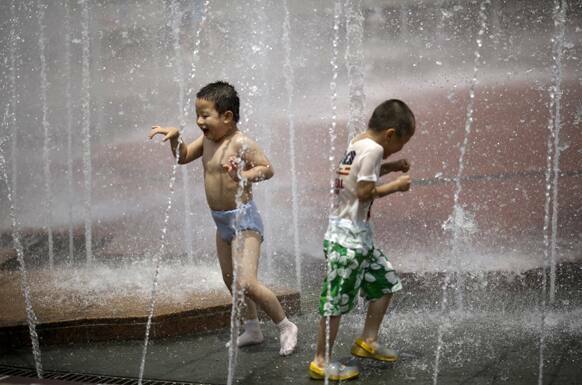 Boys cool off in a fountain at a park in Shanghai, China. 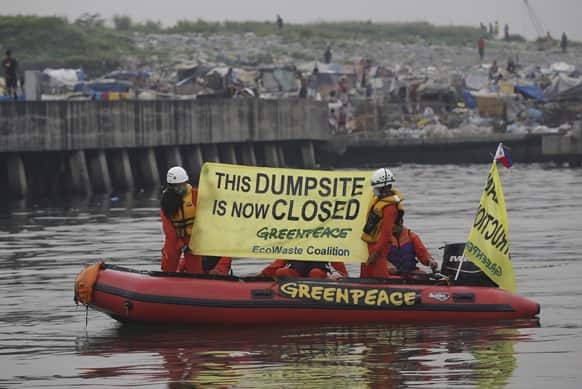 Environmentalists display a banner with slogan after placing ropes along a pier to prevent barges from transporting garbage outside a dumpsite in Manila, Philippines. 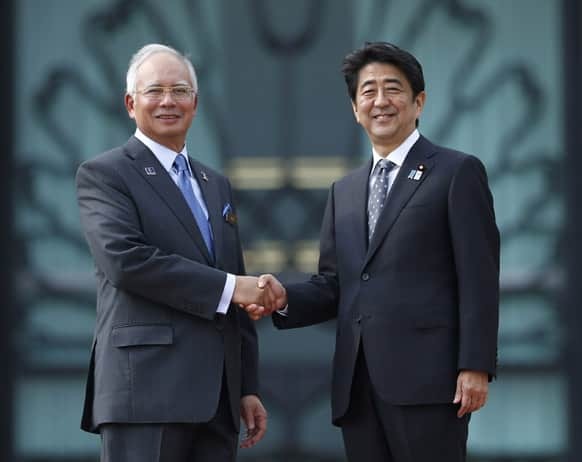 Japanese Prime Minister Shinzo Abe, right, poses with his Malaysian counterpart Najib Razak for photographers after a welcome ceremony in Putrajaya, Malaysia. Rail workers are seen next to derailed cars at the site of a train accident in Santiago de Compostela, Spain. Angie Harmon attends the TNT 25th Anniversary party at The Beverly Hilton, in Beverly Hills, Calif. Visiting NBA cheering squad, the Indiana Pacemates, perform during a news conference with NBA players James Harden of the Houston Rockets and Eric Gordon of the New Orleans Pelicans at a hotel in Manila. 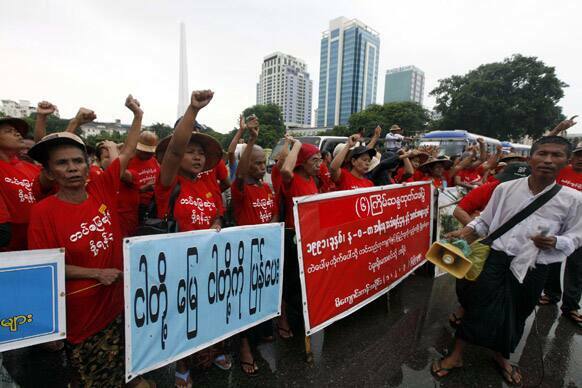 Holding placards reading "Give Back Our Land," landless Myanmar residents protest outside City Hall, in downtown Yangon, Myanmar. The residents protested against land grabs by the government and asked their land be returned. Media personnel gather around defense lawyer Rajesh Tiwari, unseen, outside a juvenile court in New Delhi. 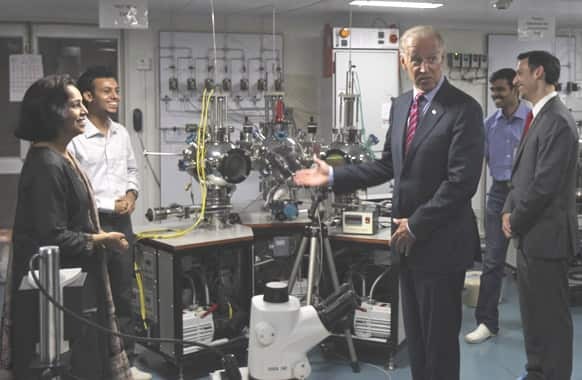 US Vice President Joe Biden, shares a light moment with students at a lab during his visit to the Indian Institute of Technology, in Powai, Mumbai. 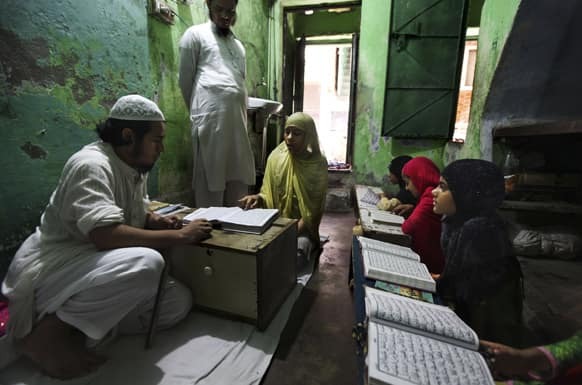 A young Indian Muslim girl takes lessons on the Quran from her teacher at a local Madrasa, or Muslim religious school, during Ramadan in New Delhi. 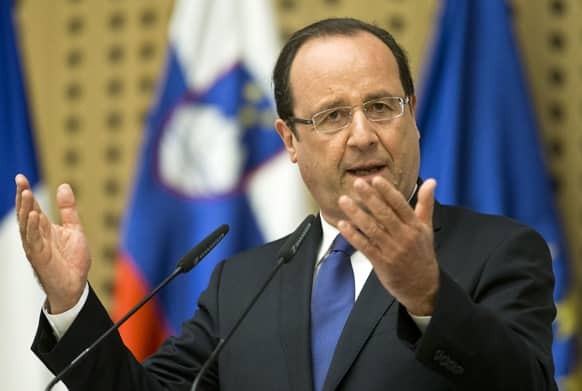 France`s president Francois Hollande speaks during a news conference, in Brdo, Slovenia. 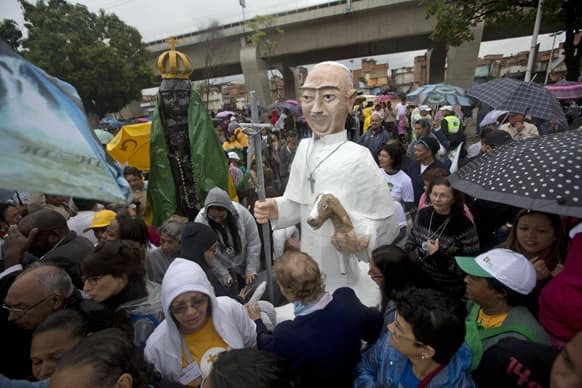 Large puppets that resemble Pope Francis, right, and the Virgin of Aparecida, Brazil`s patron saint, stand tall among residents waiting for Pope Francis` arrival to the Varginha slum Rio de Janeiro, Brazil. 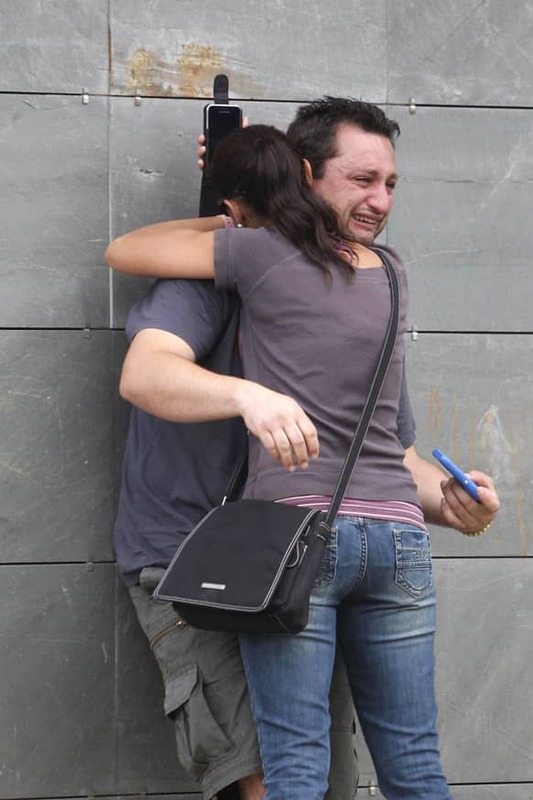 Relatives of the victims involved in Wednesday`s train accident react at a victims information point in Santiago de Compostela, Spain. British Formula One driver Jenson Button of McLaren Mercedes, right, and his girlfriend Jessica Michibata arrive in the paddock on the Hungaroring circuit near Budapest, Hungary. 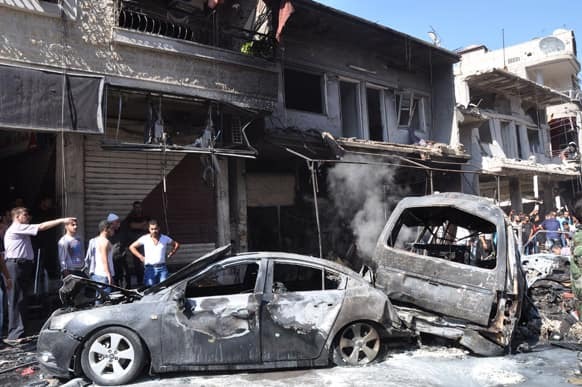 This photo released by the Syrian official news agency SANA, Syrian citizens gather near damaged cars that were burned after a car bomb exploded in the suburb of Jaramana, Damascus, Syria.